Mark is the chair of i4cp's Total Rewards Leader Board and HR executive with experience solving complex business problems for premier companies in the retail, technology and hospitality industries. He has deep knowledge of how an organization employs, retains, and motivates people, a strong business perspective and acumen, and expertise in strategic planning, executive compensation, global business growth, leadership development, health and wellness and employee engagement. He also has first-hand governance experience with internal and external Boards of Directors. Mr. Englizian joined Walgreen Co. in 2011, and most recently was Senior Vice President and Chief Human Resources Officer, reporting to the CEO. Prior to the CHRO appointment, he was Group Vice President of Total Rewards and Business Solutions. In these roles, he was responsible for management's relationship with the Compensation Committee of the Board of Directors. Mr. Englizian was the primary architect behind modernization of the company's pay and benefit practices, and was also the London-based HR lead facilitating due diligence for the merger with Alliance Boots. Before joining Walgreen Co., Mr. Englizian was Global Leader for Total Rewards with Amazon.com, where he was directly responsible for total rewards strategy, policy and programs worldwide during an unprecedented period of explosive growth from 2004-2011. Prior to his tenure at Amazon, Mr. Englizian was Director of Global Compensation at Microsoft Corporation (2000-2004), where he managed executive, domestic and international compensation. 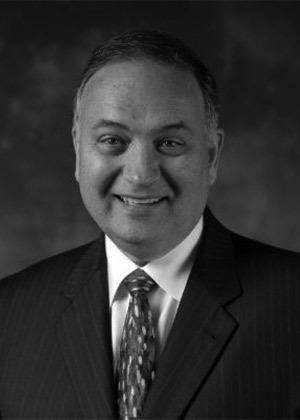 He also held senior business and HR roles with Tektronix, Inc. (1997-2000) and Red Lion/Doubletree Hotels (1988-1997). Mr. Englizian is currently a retained advisor with several organizations, including Aon Hewitt, the Institute for Corporate Productivity, Laird Norton Company, Gerson Lehrman Group and Dreamclinic. He has also served as an executive compensation advisor for Harbor Properties, and the Dacor Corporation. Mr. Englizian is a former Board Member and Board Chair for WorldatWork, the premier professional association of compensation and benefits practitioners, and is both a Certified Compensation Professional (CCP) and a Global Remuneration Professional (GRP). He is a member of the Society for Human Resource Management, the National Association of Corporate Directors, the Institute of Compensation Studies at Cornell University and a past member of the Conference Board Council on Executive Compensation. Mr. Englizian is currently a Director of the Washington State Horse Park Authority. His leadership portfolio also includes an appointment to the Portland Salary Commission, and service on the Boards of not-for-profit organizations including United Way of King County, Childcare Resources and Seattle Repertory Theatre. Mr. Englizian earned a bachelor's degree from Oregon State University, a master's degree from Lewis and Clark College and has studied in the HR Executive program at Cornell University. He has been a guest lecturer for the University of Southern California Marshall School, Cornell University Graduate School, National Foreign Trade Council, Talent Management Alliance and the Institute for Corporate Productivity. He is a reviewer for the Harvard Business School Press and various other professional publications.